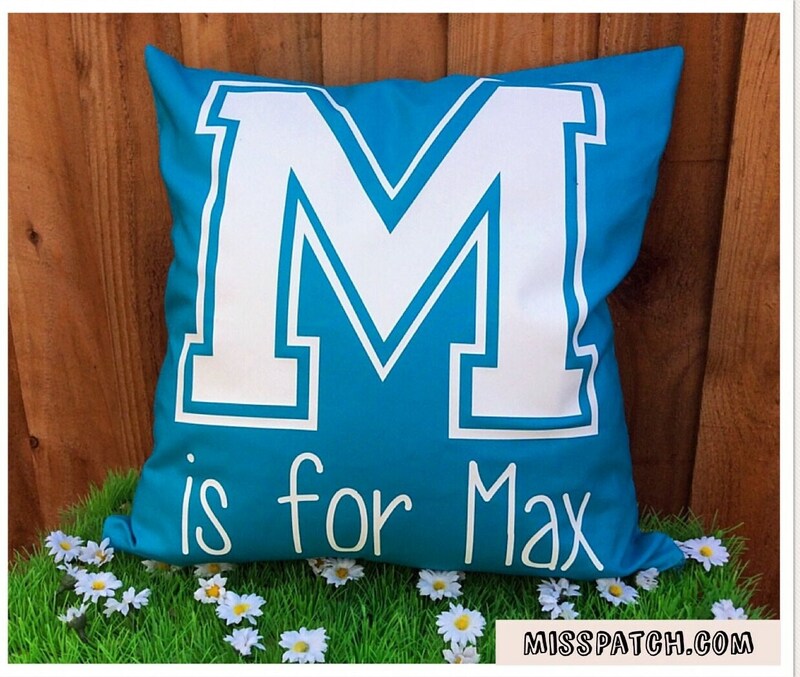 A bright and engaging Alphabet initial cushion cover which is personalised with any letter and name you would like. 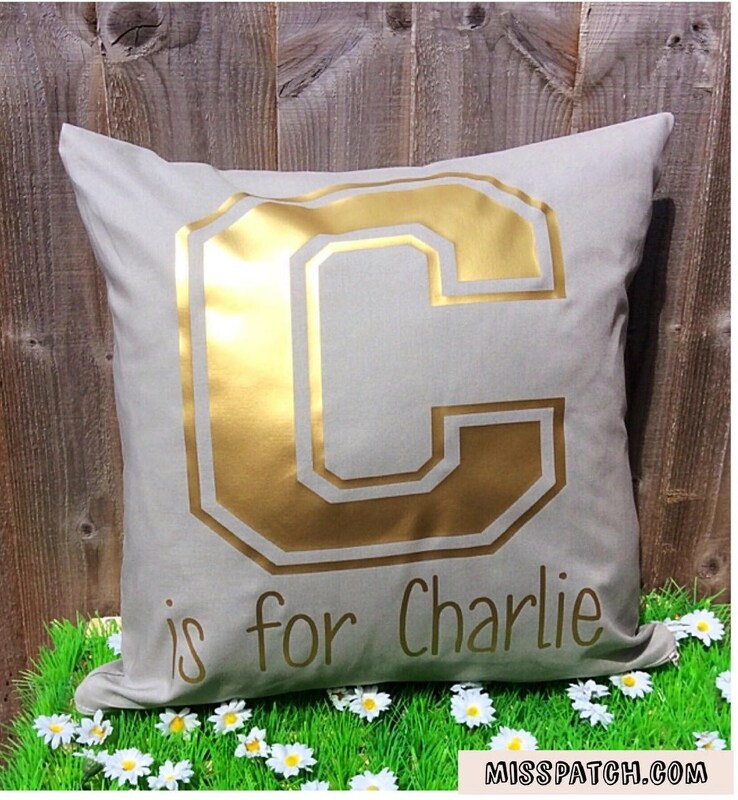 Ideal as new nursery room decoration or as a gift to give a the family for a new born baby or gift for a child. 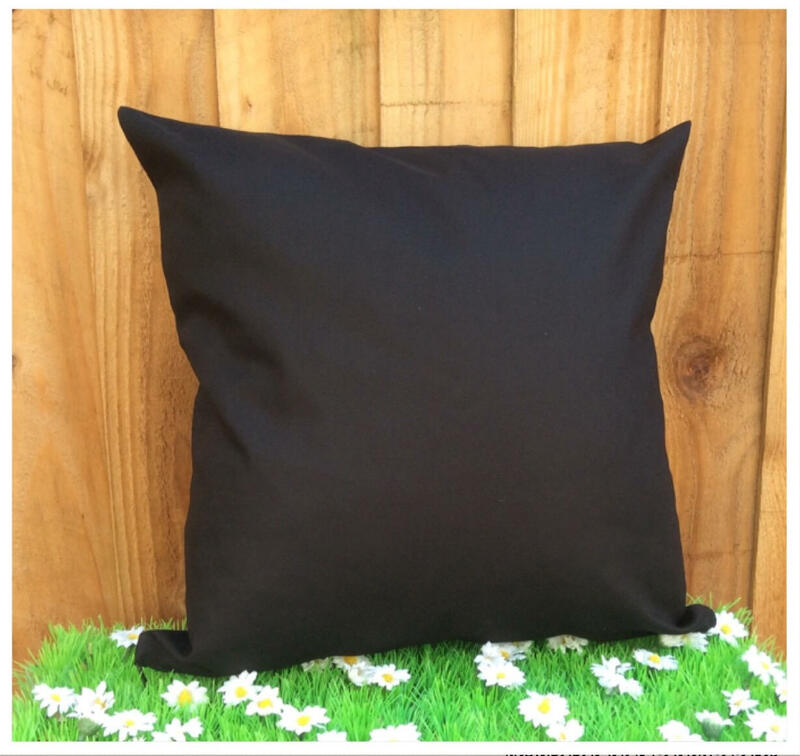 18x18 inch (45x45cm) square 100% cotton cushion cover with zip to fasten. 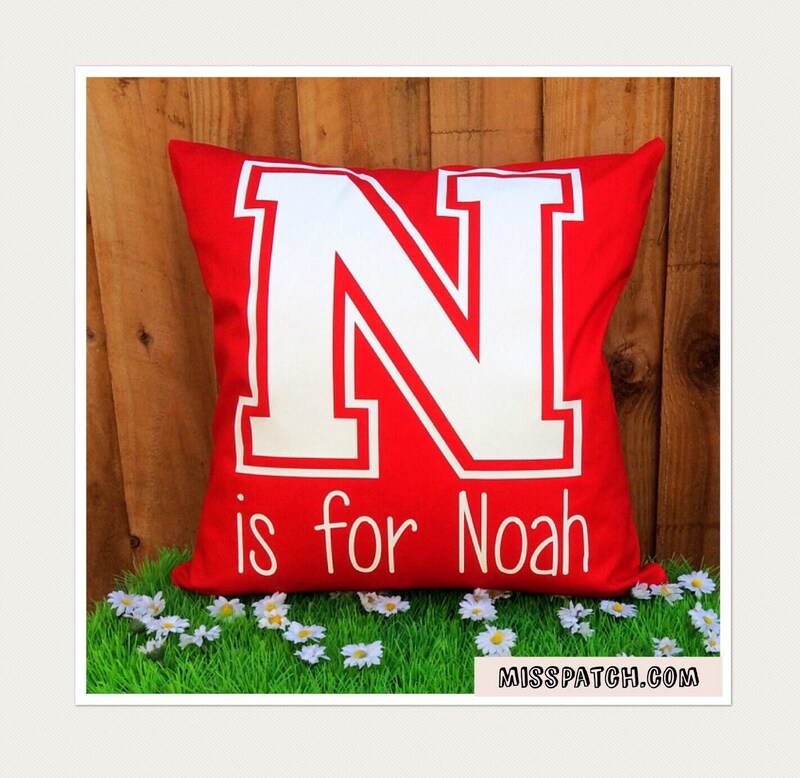 Please send me a message or add the name to the etsy notes when purchasing.